When you have created something you want to share on the web, you may want to give this a Creative commons license (CC license). The CC license describes how others can use your material. There are four conditions which can be combined in different ways. 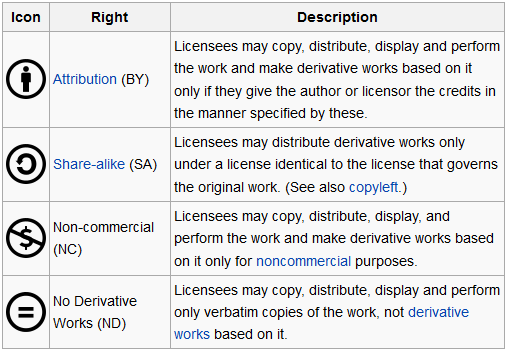 You can read more about CC licenses in Wikipedia.